But as much care as we put into our cars, eventually the expense needed to keep them on the road is just not worth it anymore and it’s time to retire them. So, what can you do when it’s time to get rid of your broken car? How do you move it on to a car wrecker or broken car company if it no longer goes or is illegal to drive? Is there such a thing as a broken car collection company for your scrap car? When Is It Time To Get Rid Of Your Car? Basically, if vital parts are failing then it is probably time to scrap your car. Repairing or replacing major components can cost you more than the car is worth. Plus, another major part could fail sometime soon also. Sometimes it is better to just cut your losses and use a scarp car collection instead. Lucky for you, there is a broken car collection company in every region throughout New Zealand. You can get cash for cars Auckland or nationwide. These car wreckers specialise in recycling scrap cars, dismantling them, and selling the usable parts before compacting the shell of the broken car and selling the scrap metal. Most car wreckers are aware that it would be difficult for you to bring your scrap car to them, so will come and collect your broken car for no charge. Even better, you can get cash for your car, retrieving back some of the money you invested when you first purchased it. How Do You Find The Right Wrecker? Traditionally, sourcing a broken car company to come and get your unwanted vehicle has been a time-consuming process. First, you would have to research all the car wreckers in your area and find phone numbers. Then there was the annoyingly repetitive process of ringing around all of them. and the hassle of repeating your details, address, and car information with every call until you found the best quote. Scrappit has changed the game, making it a piece of cake to get cash for your broken car, wherever you are. We are the first broken car company in New Zealand to streamline the process online, so you can get cash for cars Auckland, Wellington, Christchurch, or anywhere you call home. Our three-step process couldn’t be easier. Simply head to our website, fill out the online enquiry form. It will take you less than 60 seconds and lo! You will receive a range of quotes from car wreckers in your area. Once you have your quotes, choose the one that you like the look of, arrange for scrap car collection and the broken car company will come to you, paying you cash for your car. What could be easier? Broken Car Collection Made Easy! 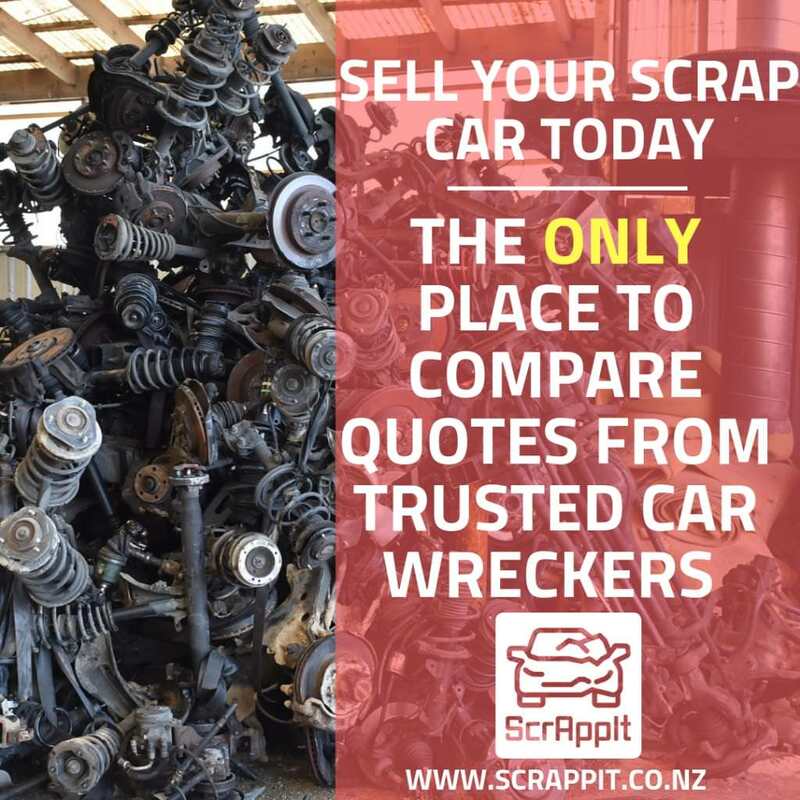 Our mission at Scrappit is to easily help you find the best price for your broken car. We take the hassle of calling around different car buyers out of the equation. Thus making the process as simple and stress-free for you as possible. We have hundreds of trusted wrecking yards on our list. So you can be assured that you are getting the best prices possible. Because we operate independently from all car wreckers, there are no hidden fees or charges. Your quotes are all free, and there is no obligation to go ahead with any of them. So, do you have a broken car you are ready to part with? Then check out what you could get for it by entering the details into our Scrappit website.